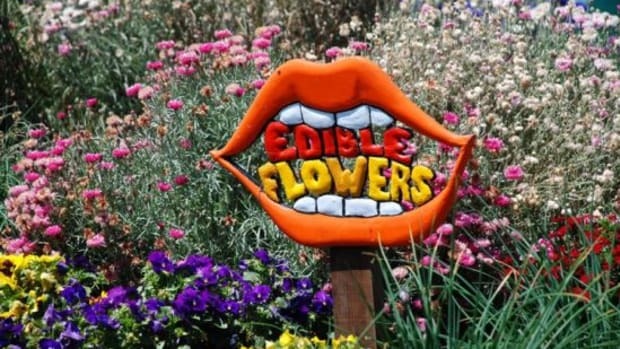 Perhaps eating flowers hasn&apos;t earned its place in your diet... yet. A little more bizarre than appealing? But picture a salad of fresh spring greens, tossed with bright yellow and orange chrysanthemum petals. Or a beautiful spring cake, iced and garnished with sugared violets. The possibilities are beautiful, fresh and endless, even if the idea of edible flowers is a new one for you. Do we smell a possible convert? 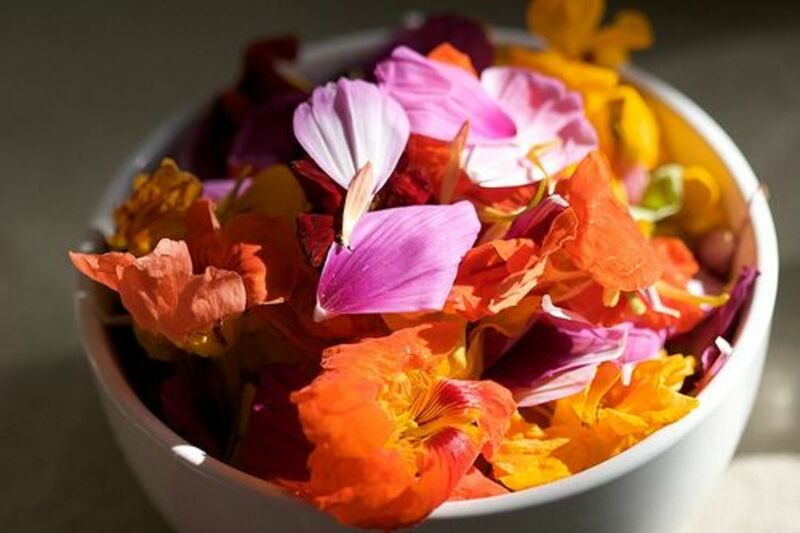 First things first; growing edible flowers organically is a must. 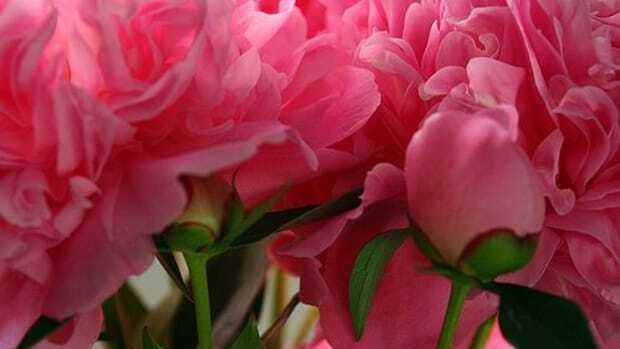 The last thing you want on your fresh, beautiful flowers are the residues of chemical fertilizers or herbicides. Since you won&apos;t be using chemical products, you&apos;ll want to build up the soil with lots of organic matter to promote vigorous healthy growth. Why? 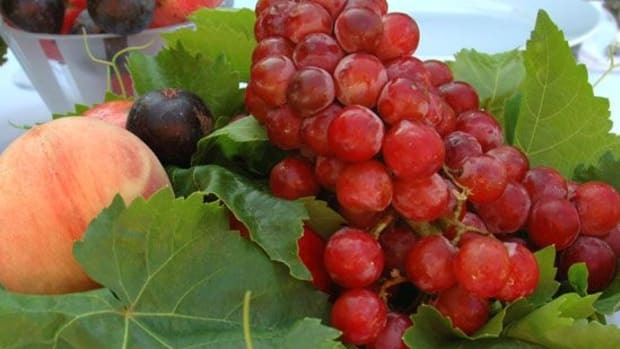 Because a healthy, strong growing plant is more resistant to disease and insect problems. You can grow edible flowers in containers or in a designated flower bed, but before you plant anything, work in a good amount of organic matter: organic compost, well-dried manure, organic topsoil. If the soil is heavy, work in some sand to lighten things up for better drainage. A too-moist environment can result in fungal diseases. Keep a simple, organic herbicide or pest repellant on hand and use it for spot treating areas that look dangerous. 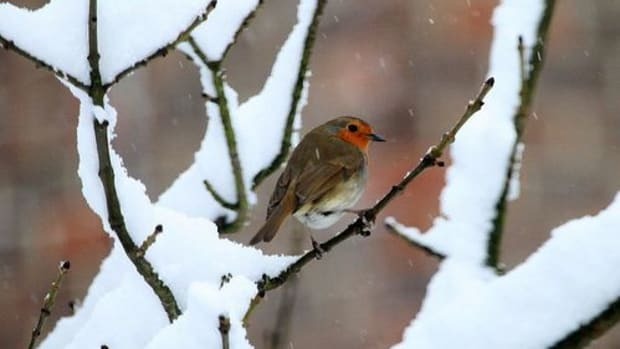 A simple mixture of 1/2 cup organic peppermint soap in a spray bottle of water can help repel insects. Chamomile: The plant itself can be rather weedy-looking, and is tall, so plant it toward the back. 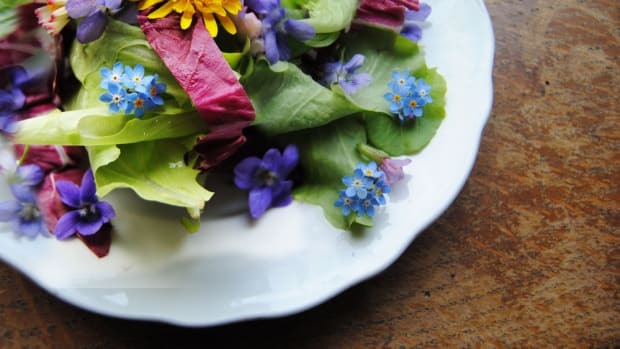 The diminutive, daisy-like flowers look lovely in a salad. Lavender: Perfect for flavoring desserts or for scenting your linen drawer. These purple buds are great for spring and summer garnishes. Chysanthemum: Beautiful, cheerful, many-petaled flowers come in a variety of bright colors. Daylily: Plant once, and you&apos;ll have a growing crop of daylilies every year. Many colors and variegations to choose from. Dianthus: Small, many shades of pink, delicate and lovely in a salad or as a garnish. Hibiscus: These large, tropical flowers make a beautiful edible garnish. Lilac: Old-fashioned beauties, you can enjoy these in a vase or on the table. Marigold: Small, bright and easy to grow, these make an excellent addition to a salad of spinach. Rose: Lovely to look at, lovely to smell and lovely with chocolate. Scented geranium: Most varieties taste like their scent. Snapdragon: Another old-fashioned garden favorite that can also grace the plate. Tulip: Like daylilies, these bulbs will spread every year, giving you a better crop with no additional work. 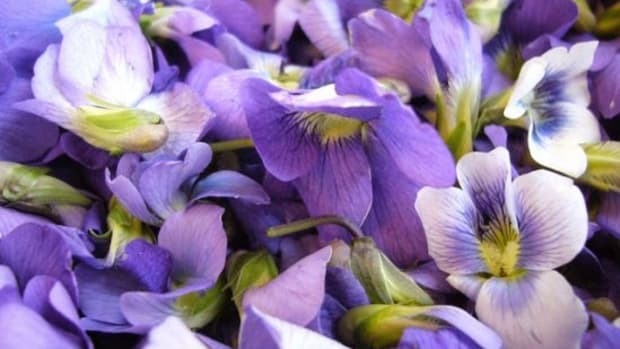 Violet: Sugared or candied violets are the best edible dessert garnish. 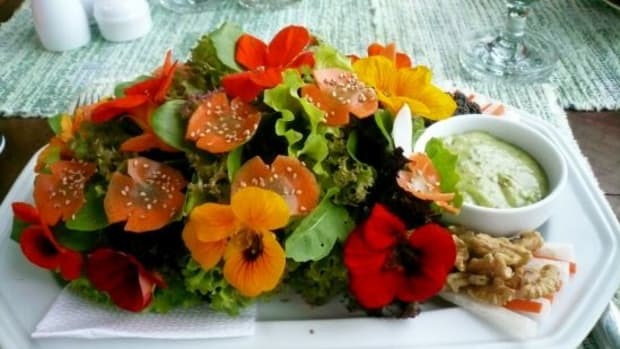 5 Edible Flowers: Love, Grow, Eat! 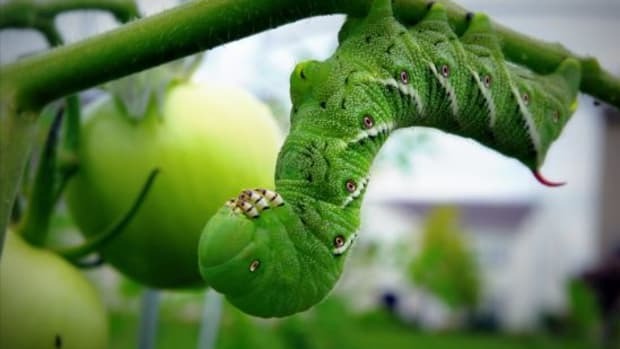 Rid Your Garden of Tomato Hornworm Caterpillars – Naturally!